Let me first preface this post with the following: I’m not a construction professional. I’m just a curious homeowner seeking out the best building materials for my home. With that said, I was familiar with three options in residential construction – concrete block, wood frame or the super green alternative, rammed earth. 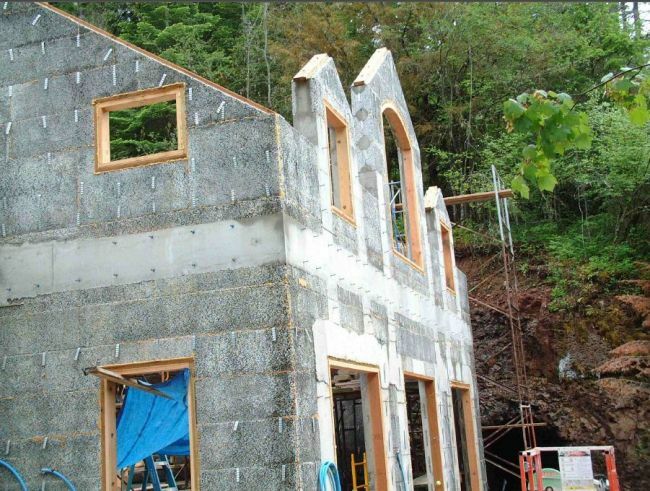 Turns out there are new options that combine the wonderful qualities of Portland cement with recycled post-consumer plastics (Rastra) or recycled wood fibers (Durisol). An informative, if not slightly amusing, video at the Rastra site shows the blocks being formed in giant looking muffin pans before being cooled and shipped to the building site. They are then assembled with the ease of a child connecting Lego blocks. I hope that assembly of a home could actually be as simple as they make it look – but having survived a few construction projects it is hard for me to swallow. Both products claim superior resistance to pests, fire and noise and both look easy enough for trained hands to assemble (click, snap, glue and fill with concrete). The differences, of course, being the strength of the pre-assembled product, materials used in the mix and price. I’ll examine all three of those issues next week. In the meantime, I’d like to hear from you. Have you used either of these products? Were you satisified? Do you have a question about the performance level? Quality? Any concerns you’d like me to try and clarify for you?